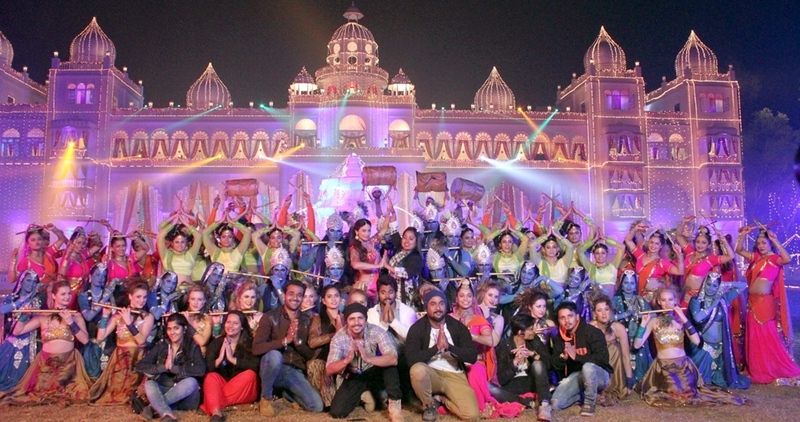 Shooting of film “RAMRATAN” starring Daisy Shah and Rishi Bhutani is going on for since last 15 days, where many sequences were picturised along with a song on lavish set of palace with three hundred junior dancers on Daisy Shah and Rishi Bhutani under choreography of Shabina Khan. 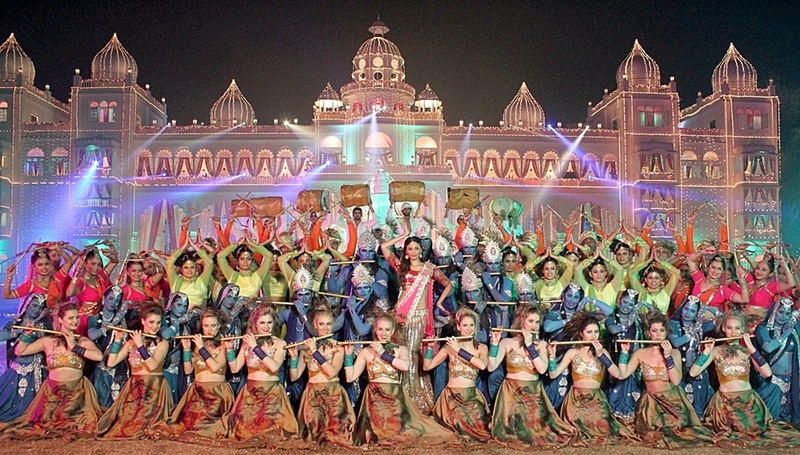 This romantic number was sequenced in a festival where all dancers were dressed in colorful lehnga cholis, with sticks in their hand, specially Daisy was glittering like a fairy, it was shot in four days, but both Daisy and Rishi were so energetic that they enjoyed the entire shoot in jolly mood. Rishi could not control his energy and in last lap he slipped and got his right leg fractured. Now only one song is balance to shoot, and film will be completed. Film “RAMRATAN” is being made under the banner of ‘Sab Star Movies’ with direction of Govind Sakariya, produced by Sanjay Patel, Ashwin Patel & Bharat Dodiya, Co-producer Kaushik Patel & Pankaj Dodiya. Story & screenplay by Praful Parekh, dialogue by Anwar Shah, music Bappi Lahiri, cinematography by Arvind Singh Puvar, associate creative director Ashok Ghosh & Dhananjay Singh, executive producer Hemal Joshi, choreographers Lolipop, Mudassar & Shabina Khan, editor Ashok Rumade and art by Pradeep Singh. Starring: Daisy Shah, Rishi Bhutani, Mahesh Thakur, Sudha Chandran, Rajpal Yadav, Sumit Vats, Angela Krislinzki, Angel Thakur, Prashant Rajput & Satish Kaushik.